The weather has been perfect to fire up the grill in sunny California. Actually at the Chilebrown household any weather is perfect to fire up the grill. Turkey Roast will step up to the plate and hit a home run on this ‘Giant’ evening. 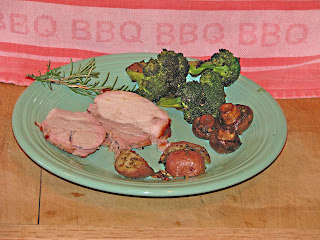 Grilled mushrooms and broccoli will accompany this loaf with some roasted rosemary potatoes. 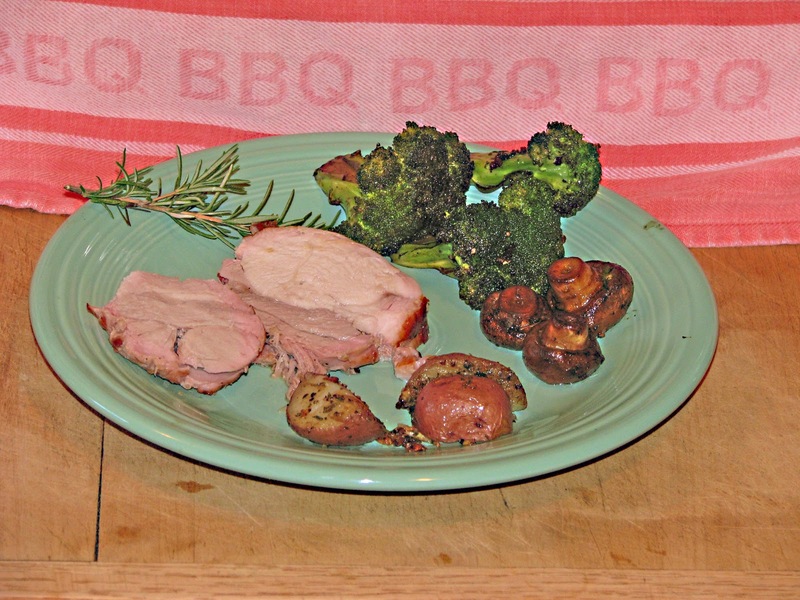 Turkey roast is an easy and convenient meat to cook. The loaf comes frozen and needs to be defrosted. A little seasoning with salt & pepper and it is ready for the grill. 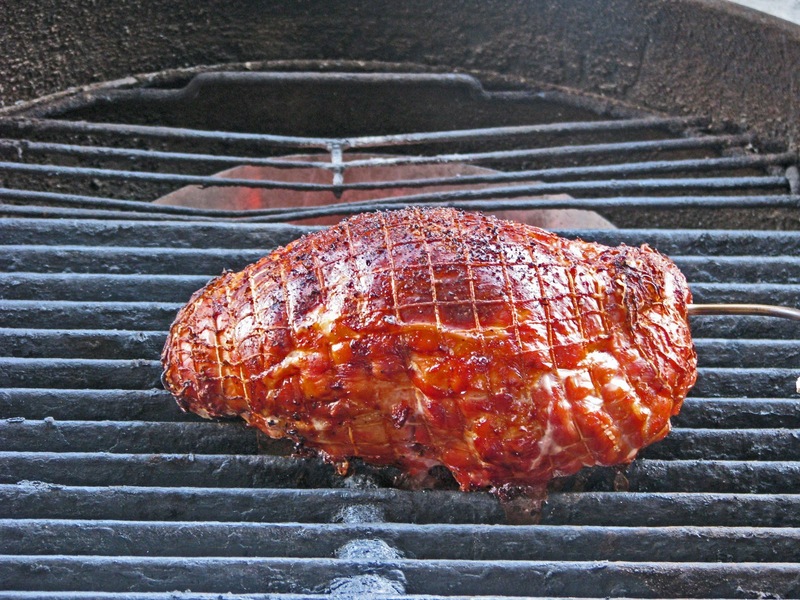 The roast will be cooked on an indirect fire with a drip pan to catch all the juices. 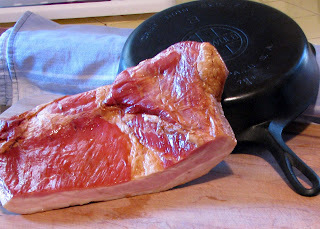 It will be cooked until the internal temperature reaches 165 degrees. Once done a 12 minute rest and the carving will begin. The mushrooms and broccoli will be marinated in oil, balsamic vinegar, crushed garlic, salt and pepper. This was prepared several hours before hand and put in a Ziploc bag to marinate. A nonstick grill basket is perfect to cook our vegetables directly over the grill. Our vegetables were only cooked for around 10 minutes. They still had a little crunch to the bite. Ms. Goofy made some rosemary garlic roasted potatoes in the oven. “Warning” Well, Chilebrown did not read the instructions on the turkey loaf. Before you cook your roast you need to loosen the netting. It is a good idea to then place a little oil underneath the netting. This is done to prevent the netting from sticking to the skin. 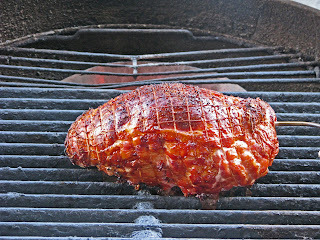 The netting on our roast was embedded into the skin. When removing our netting we butchered the skin and ultimately ruined the presentation. 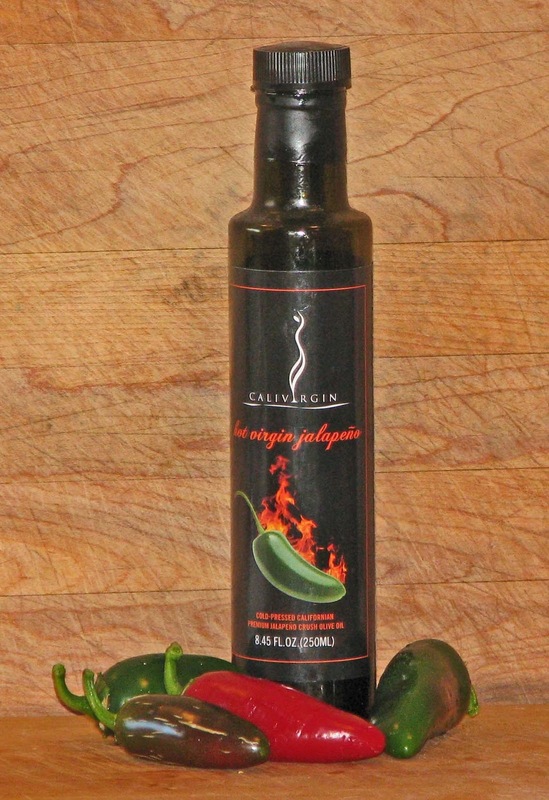 This did not alter the flavor of our turkey loaf. It was delicious. The vegetables and potatoes stole our home plate with flavor. What a meal to watch the ‘Giant’s win the World Series. The best part will be the sandwich tomorrow. 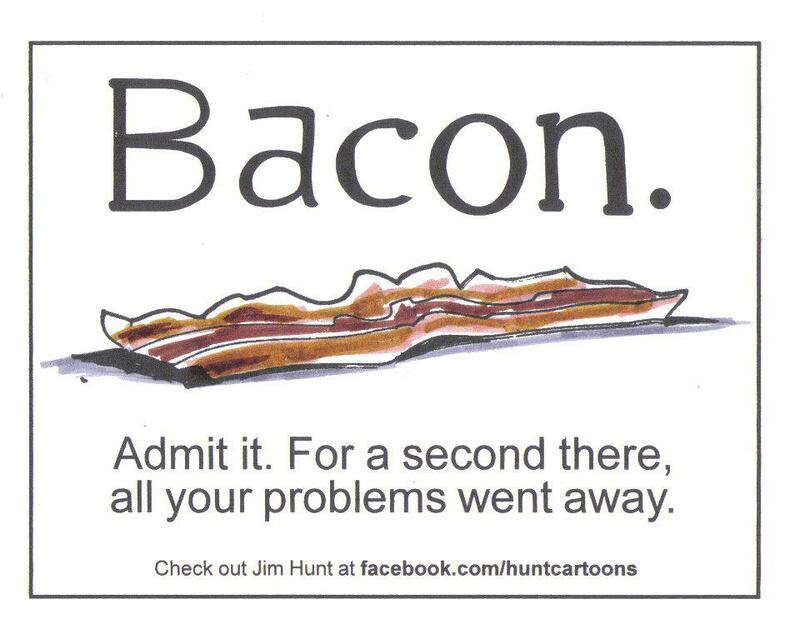 Some of you are concerned about a pending bacon shortage. 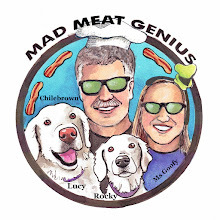 We at Mad Meat Genius would like to bring you this Public Service Announcement.and hopefully this will answer some of your questions. 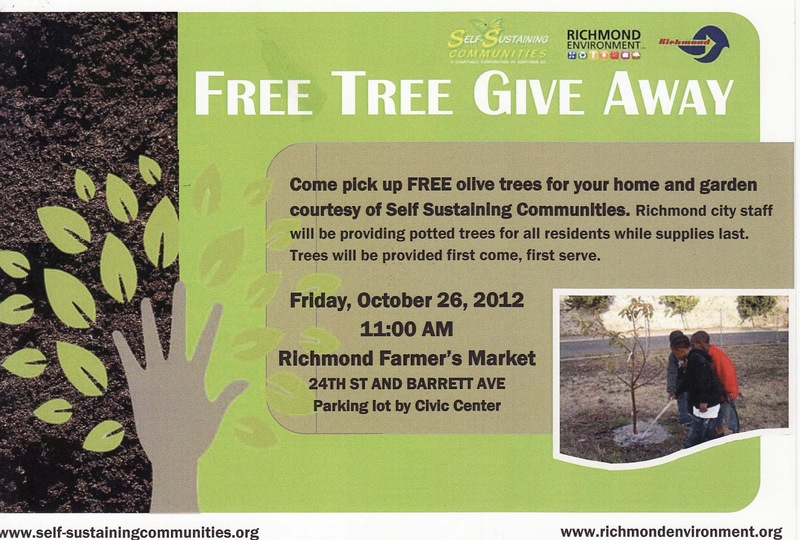 This Friday there will be a free olive tree giveaway at the Richmond Farmers market. 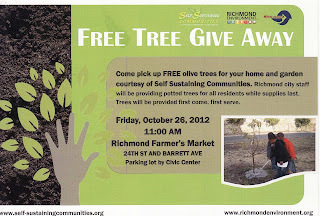 It will be sponsored by the “Self Sustaining Communities’ group and ‘McEvoy Ranch’. The last distribution was an exciting success. The market was a sea of tree carrying shoppers. 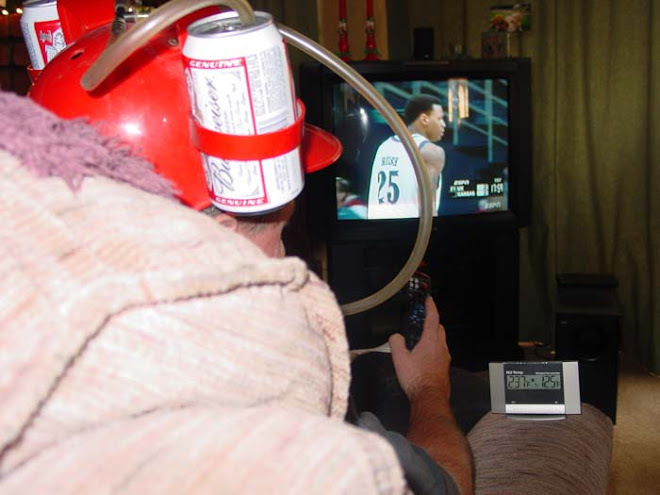 It is also a great excuse to get your vegetable and fruit on. Yours truly will not be working this Friday but will make an appearance. 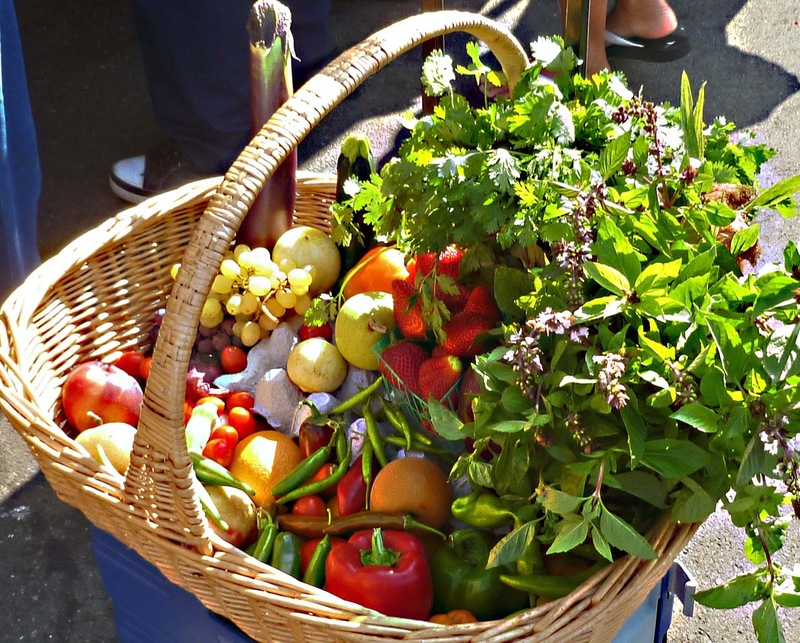 While you are at the market, why not take a chance ant fill out a ticket to win our market basket. All it will cost you is a name and phone number. 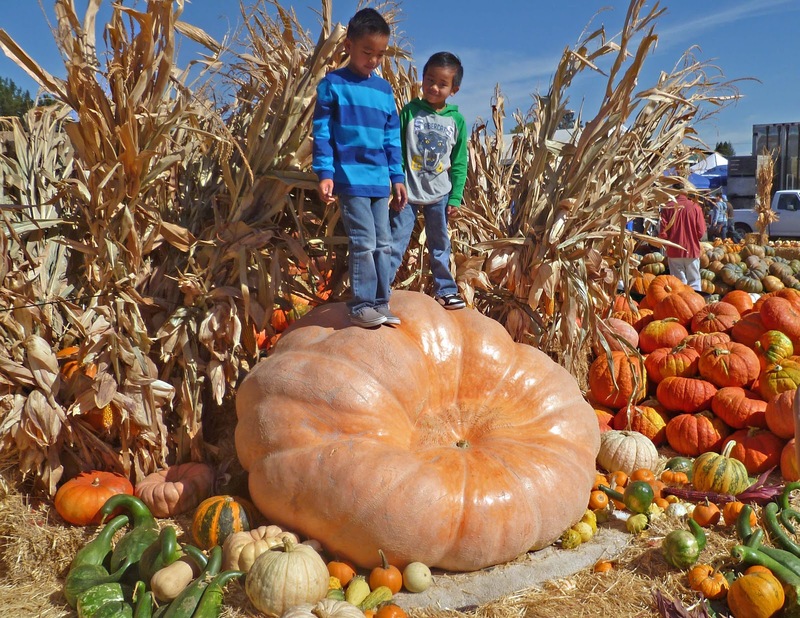 You may win a large basket filled with a cornucopia of fruits, eggs and vegetables. Here is a very happy last week’s winner. 24th Sf & Barrett Av. Lately we have been trying to lower our fat and salt intake. It is so easy to indulge in all our favorite meals. Sometimes the body tells you to slow down a little. 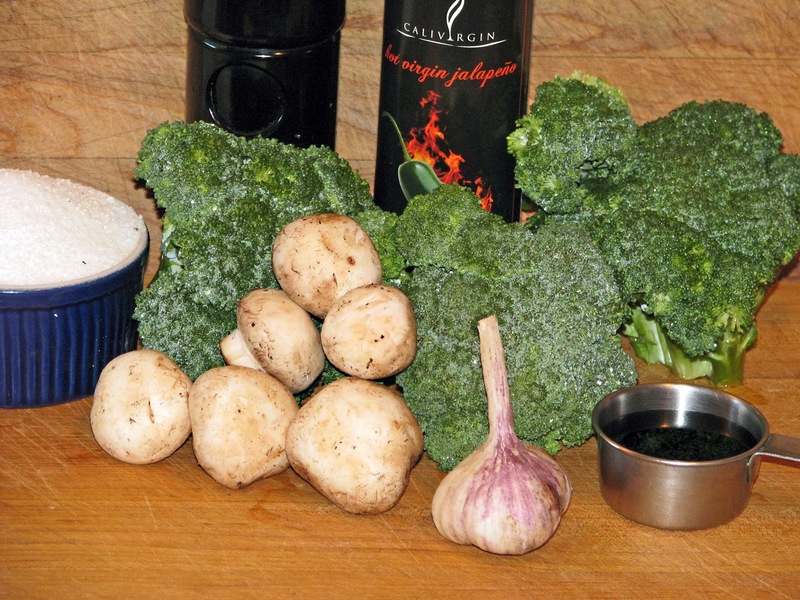 Today we are going to make some broccoli rice. 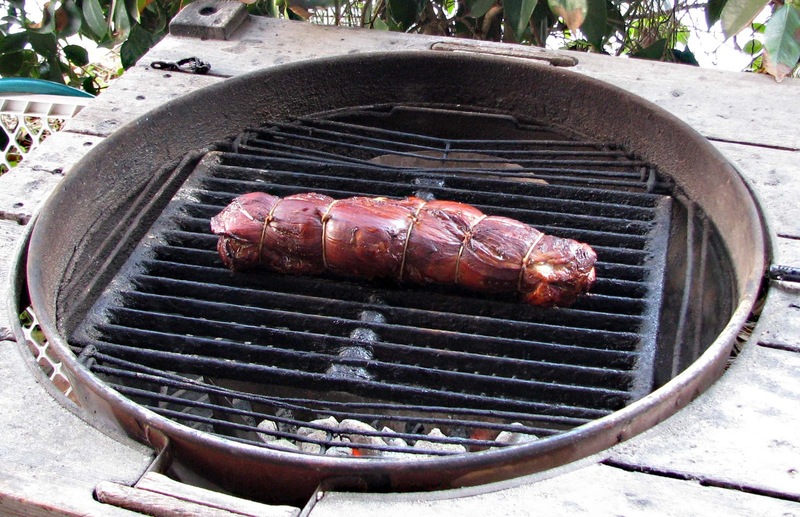 It will be accompanied by barbequed pork tenderloin. No fat and only a small amount of salt will be used. The tenderloin is very lean and will be flavored with Moore’s Marinade. Today’s star is some broccoli that was found at the Hayward farmers market. It will be pureed and cooked with some basmati rice. 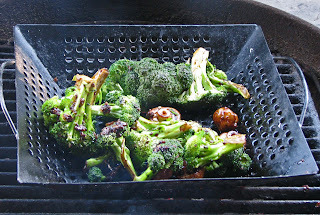 The broccoli was blanched in some boiling water for two minutes. 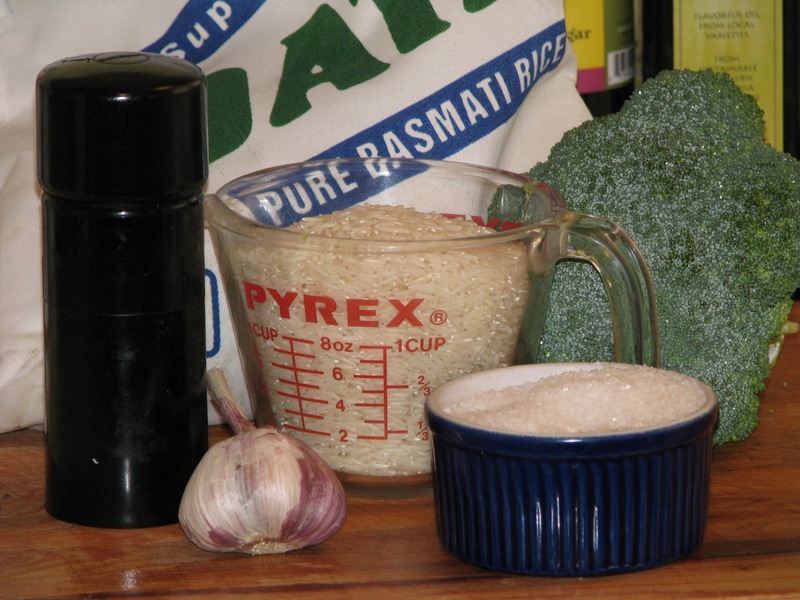 The blanched broccoli was pureed in a food processor with a ¼ cup of the cooking liquid. The pureed mixture was added to a pot of basmati rice. Use a little less liquid when cooking the rice. Some finely chopped red bell pepper was added for a little color. One half a teaspoon of salt was added to the rice mixture. Follow your favorite rice cooking instructions. The kitchen smelled of broccoli while the rice cooked. The broccoli rice was very flavorful and good looking. 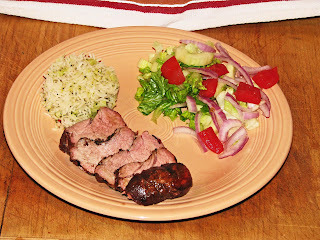 The pork tenderloin was delicious. This meal was good tasting, fat free and used less salt. 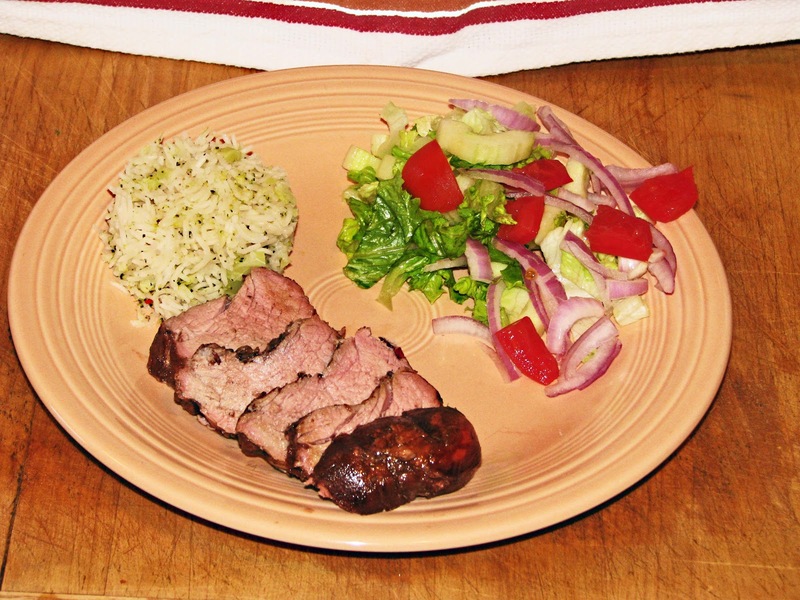 We will try to lower our fat and salt intakes so we can indulge on our favorite dishes occasionally. 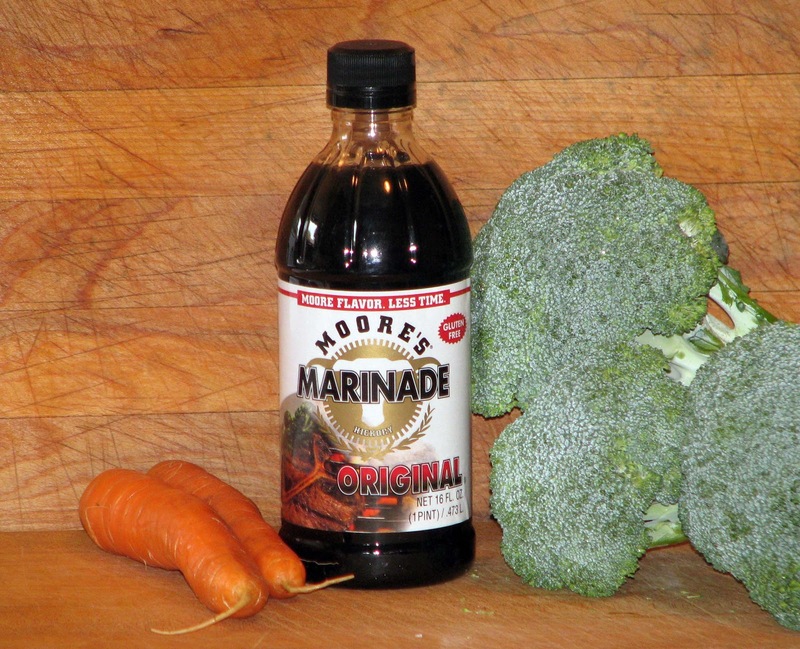 Here is Post on Peppers & More about Moore's Marinade. One can purchase artichokes year round. 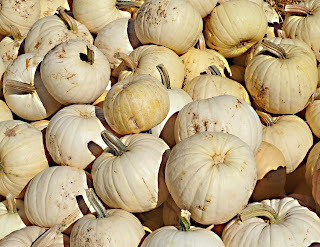 They are at their peak in the Fall and Spring season. Ms. Goofy and I were browsing the massive produce isle of the Berkeley Bowl West when we spied these extra colossal globes. We could not resist and purchased a few for dinner. 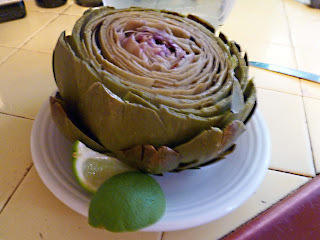 Artichokes are simple to prepare. A sharp knife will cut the stem and top off. A few of the smaller leaves from the bottom will be removed. A good washing and then plunged into a salted boiling pot of water is the next step. It is a good idea to put some type of acid such as lemon, limes, or vinegar to prevent discoloring. I used limes to preserve the color and add a little lime kick. (We have a big lime tree in the backyard). This huge globe took 45 minutes to cook. When a knife easily goes through the artichoke heart or when the leaves pull easily from the body your artichoke is done. We served this with some mayonnaise to dip the leaves in. Once we finished with the leaves we were left with a massive heart. The heart has an almost meat like taste. It was delicious!!!!!!!!!! Harry Soo of 'Slap Yo' Daddy' barbeque team received a very nice gift from his fiance Donna Fong. She took a stock Weber Smoky Mountain cooker and had it custom painted. 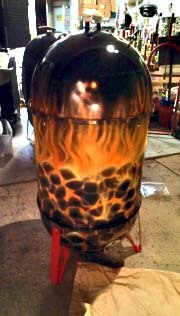 Very realistic lit charcoals with flames burning high are painted on this WSM . This cooker is hot. This is the ultimate gift in my book. (hint). 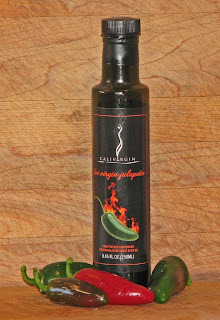 Harry Soo will be cooking with his new custom rig at the 'Jack Daniels World Championship Invitational Barbeque' on Oct 27, 2012. Good luck Harry! I had all intentions of beating my pumpkin growing record. My last attempt at growing pumpkin produced a 120 pound beauty. Alas, this year I had crop failure. I nurtured a plant from seed but the fruit would grow and then die and shrivel away. 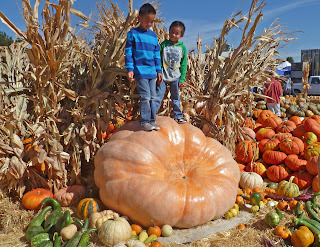 It was time to cut our losses and search out and purchase our great pumpkin. This journey would take us to two farmers markets and then to ‘Larry’s Produce’. 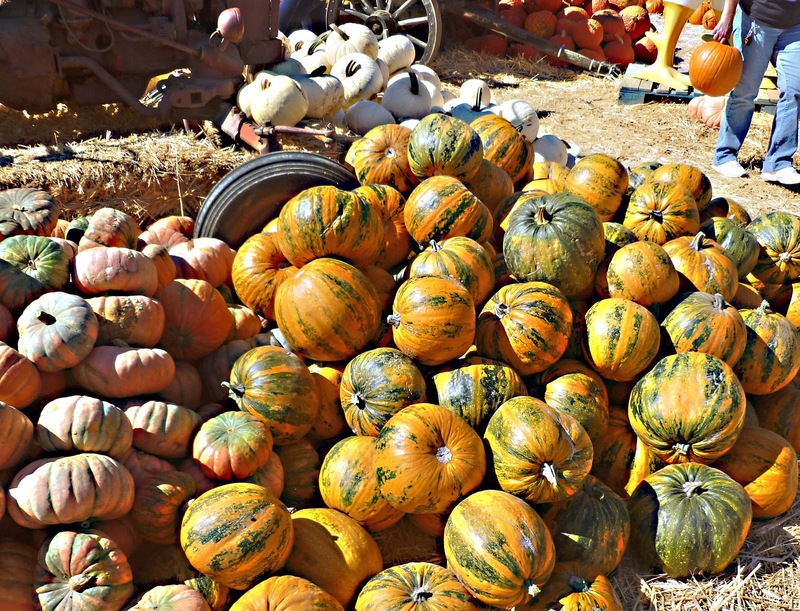 Ms. Goofy was determined to have pumpkins for her Halloween decorations. We loaded up the Racing Honda and sped to Calistoga California. We traveled through the beautiful Napa Valley enjoying the view of all the vineyards. The Calistoga farmers market is a small local market which is held in a small courtyard. 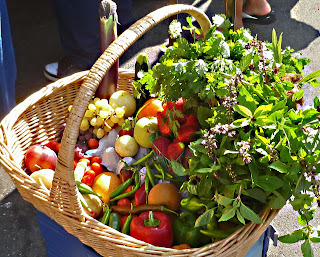 Lots of local produce, honey, olive oil and craftsmen make for a enjoyable morning stroll. 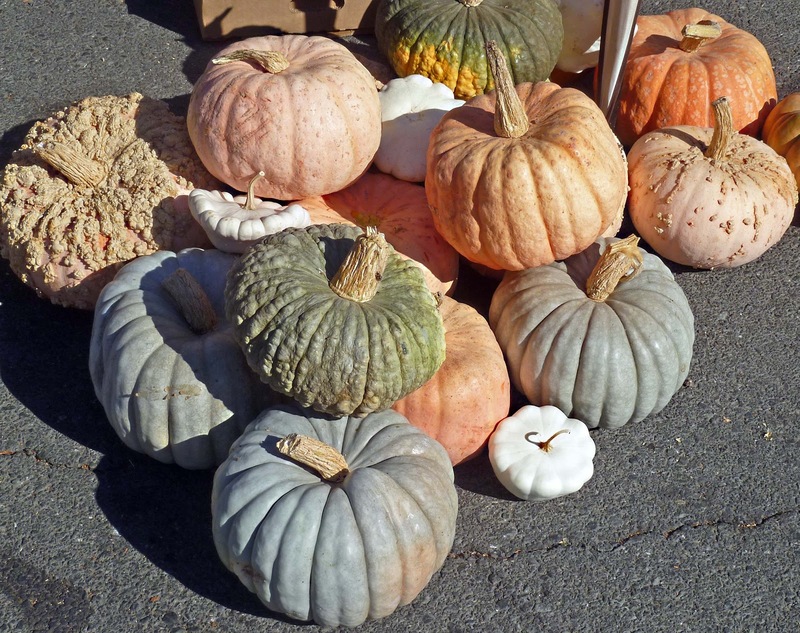 Only one vendor had a handful of small squash. It was off to our second destination the Napa farmers market. 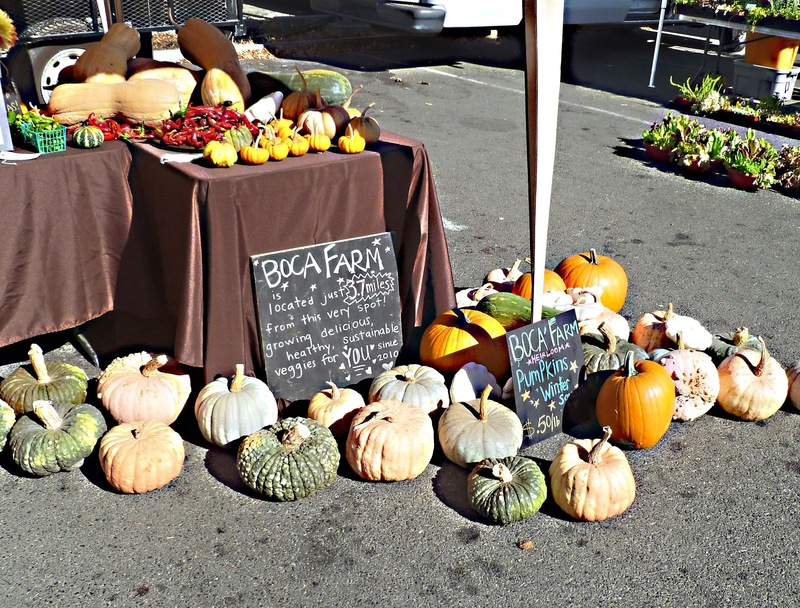 The Napa farmers market is a large venue sandwiched between the Oxbow Public Market and the now defunct ‘Copia’. 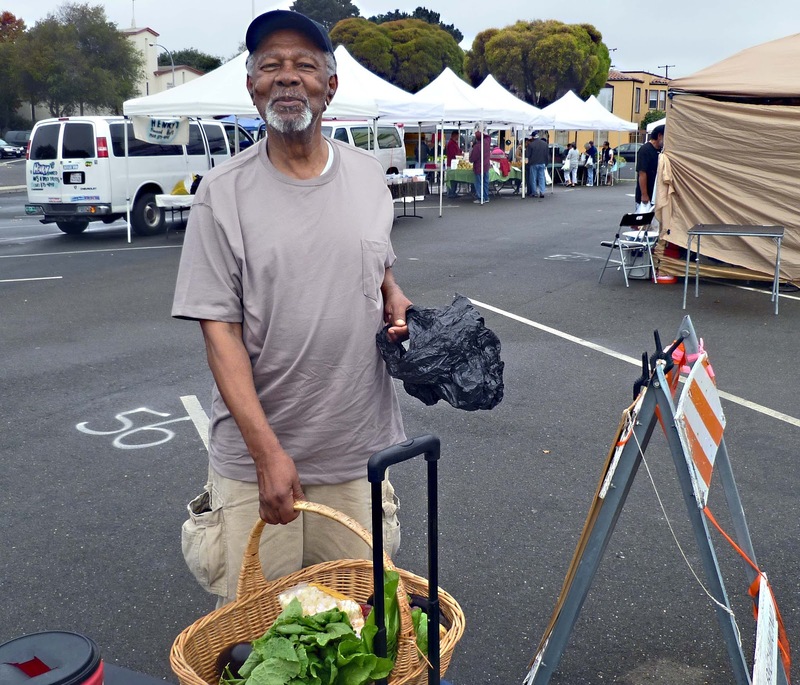 This market showcases the best produce of Napa Valley. It is quit the fashion show of shoppers. 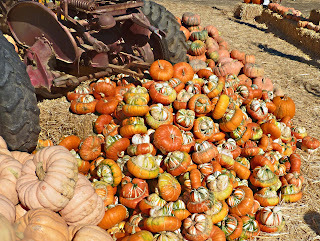 We found Boca farms but they did not have a pumpkin to suit Ms. Goofy’s fancy. What to do? The light bulb in my head went off and it shined on Larry’s Produce. Larry’s Produce is a magical place. 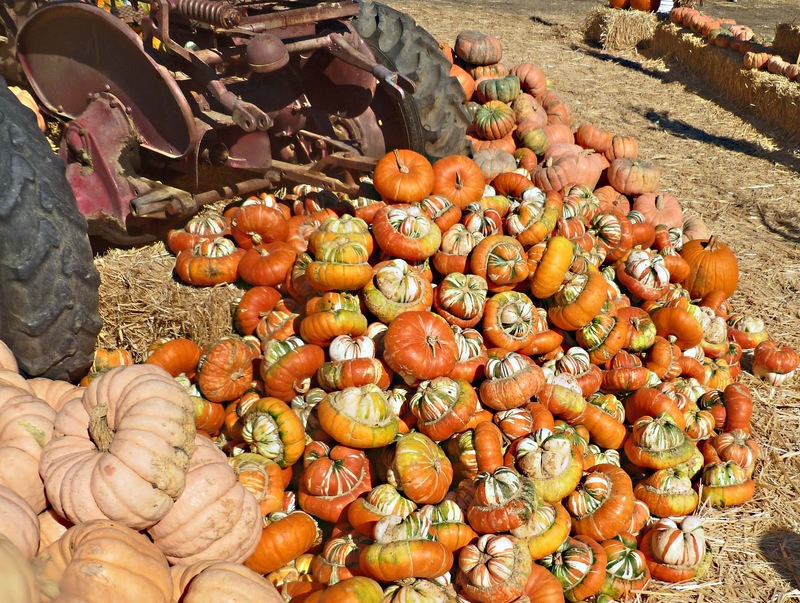 It is located on a rural road in the Suisun Valley. This market has something for everyone. The prices cannot be beat. Because of these two factors the parking lot was overflowing. We found a spot right in front, an omen of great pumpkins to follow. 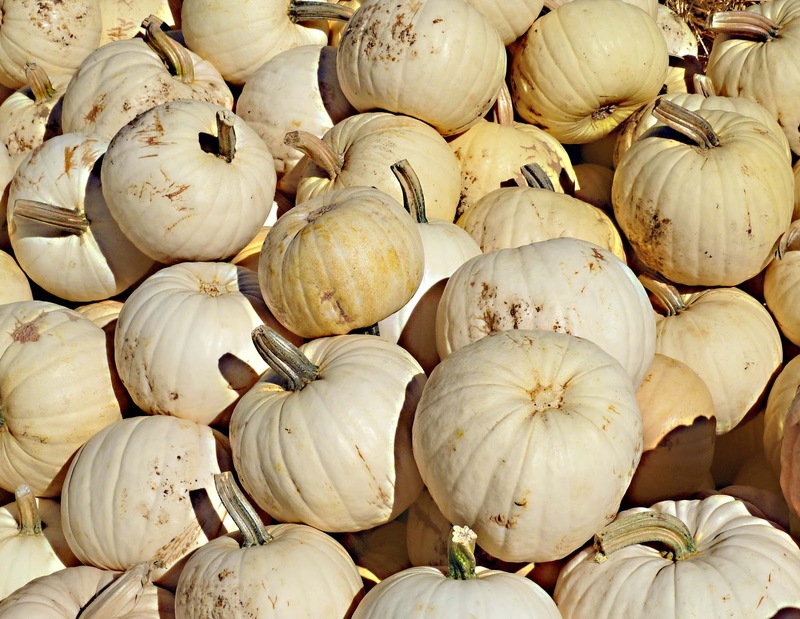 There are so many varieties of pumpkins. 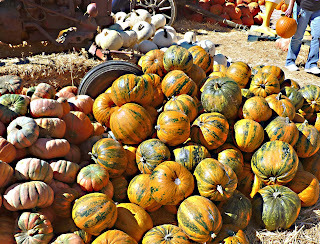 Turban, white, warted, green, pink, striped and the traditional orange pumpkins were displayed around tractors and hay bales. Lots of children were having the time of their life playing amongst the displays. Ms. Goofy found her treasure. 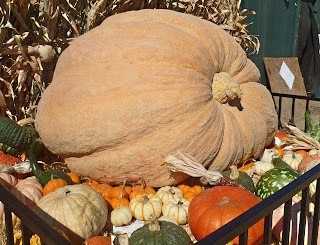 I wanted to take this large pumpkin home. Unfortunately we had left our forklift at home in the garage. This was a fun adventure even though meat was not involved. “Here comes the Judge, Here comes the Judge”. Here comes the newly crowned Master Judge. 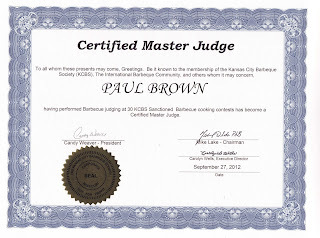 I have achieved the coveted title and have been awarded from the Kansas City Barbeque Society status of Master Judge. It has been a fun and tasty journey. I had to judge in 30 competitions. I cooked with a professional team and WON the trophy of Grand Champion. 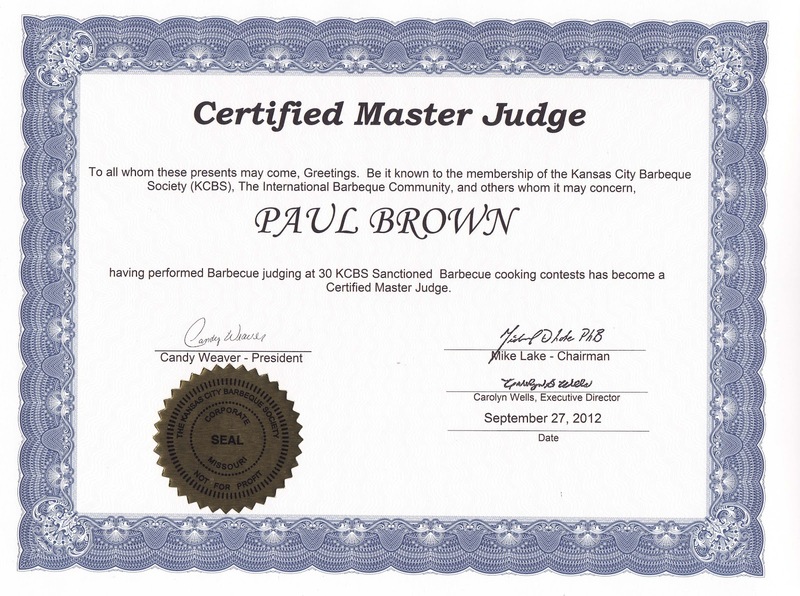 Last, but not least, I completed a grueling written test of barbeque knowledge. I will now proudly wear my new badge of honor. The next contest we attend heads will turn because; “Here comes the Master Judge, Here comes the Master Judge”. I am not sure about this one. 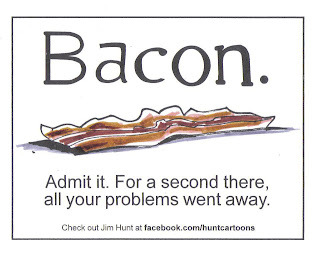 If I got this for Oscar & Lucy, I may eat the bacon and make split pea soup with the bone. 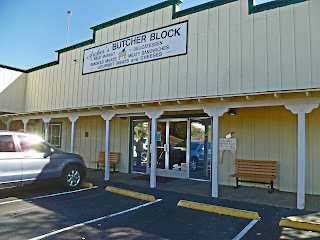 Today’s Meat Adventure brings us to Hangtown California to Archer’s Butcher Block. This is a full service Meat Market that has something for every one. Located in the beautiful Sierra Nevada foothills and surrounded by breathtaking scenery you have to remind yourself you are only 45 minutes away from Sacramento. I heard about Archer’s through a lead from a local several years ago. Sometimes our best meat finds are by word of mouth. We were judging a BBQ competition at the fairgrounds and had some spare time before the first turn-ins. We loaded up the car with fellow judges and had a group Meat Adventure. 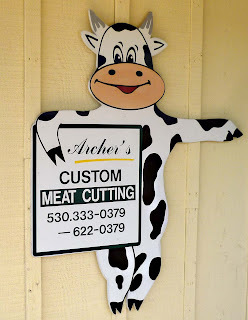 Archer’s is located 5 miles off the main highway. It would be very easy to pass it by, but we had a mission. A building with a western motif and ‘Archer’s’ signs plastered everywhere let us know we had arrived. Once through the doors the smiles began. A full service deli with a special sandwich called “The Blockhead”: a random combo of meats and cheeses with all the fixins. I was tempted to get “The Super Blockhead” which was double of everything but I had judging duties to perform. The salami was house made. Where should I start on the selection of meats available? Beautiful grass fed and grain finished steaks were available. Marinated beef and chicken were begging you to take them home to grill. House smoked bacon and pork chops made it to my basket. House cured salamis with or with out cheese and housed smoked jerky tempted. A large selection of ‘Aidells’ sausage was available. If you could not find your fancy in this meat case you may be tempted by the game available. Rabbit, pheasant, elk, buffalo, lamb, duck venison and even some seafood was available. 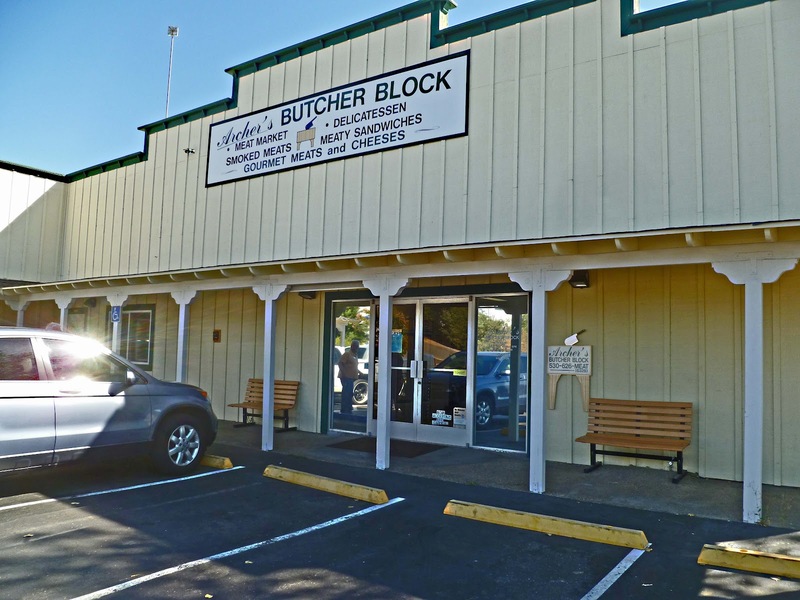 Archer’s Butcher Block is a one stop meat palace. 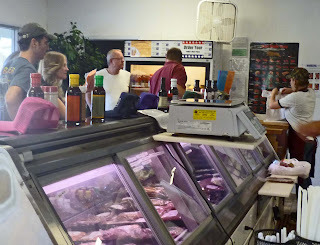 A full deli and meat market that impresses. 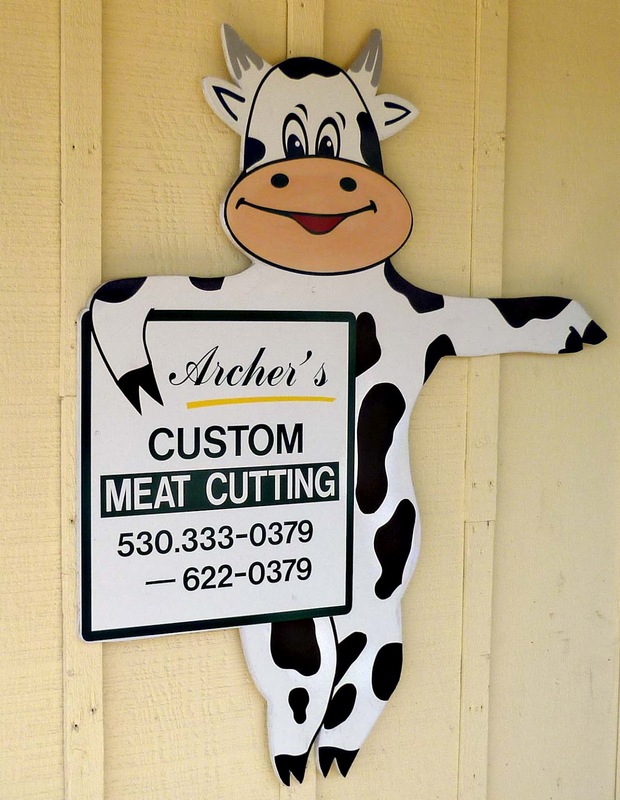 If you need to have game or livestock processed Archer’s can fill your bill. We loaded up the Racing Honda with purchases and fellow judges. My ice chest had some bacon, smoked pork chops, and house cured salami. This was a Meat Adventure that just so happen to combine with our BBQ judging. Boy, do I love Meat Adventures.